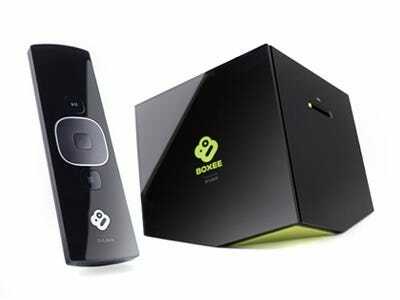 Boxee Box By D-Link For $138 - SOLD OUT! UPDATE: You love the Boxee Box! It sold out in record time. If you’d like to be on a waiting list in the event we can extend the promotion or offer a different deal, click here and leave us your email. Boxee delivers all your online content – TV shows, movies, and music – directly to your HDTV in a way that finally makes sense. Robert Scoble: “My favourite product of the [CES] show was the Boxee Box…. And the timing couldn’t be better, as Netflix just arrived on the Boxee Box. We are really excited to offer the Boxee Box by D-link today on Pipeline at the lowest rate available, for a very limited time. The Boxee Box plays it all: Play almost anything that you can play on a computer, including videos, music, or photo formats, right on your big-screen TV. Internet TV is much cooler than Internet on your TV: Boxee works with the top Internet companies to deliver an experience that’s tailored to your TV: Netflix, VUDU, Pandora, MLB, Funny Or Die, NHL, Flickr, and hundreds more. It looks great and makes it fun to use. It’s all included: Other than subscription fees for select premium apps, you get everything you need to set the Boxee Box up. A primo remote: Not only does the device feel good in your hands, but its up-front controls are simple to use and the QWERTY keyboard on its reverse makes for nimble web browsing and social media messaging.